Tonight we’re officially launching the Slack Platform. We’re pretty thrilled that we can now give you a full-service platform offering: from tools to build with to a place to get discovered. If you’re tuning in just in time for our event, check out the livestream here. For those who prefer to read, our new products and programs fall into three major buckets detailed below. We’re launching the Slack App Directory for users to discover and install apps they need for teamwork. Hundreds of awesome apps are built on Slack, and until today we offered no scalable way for developers to get their apps in front of customers. We’ve built our app directory so that customers can find the best possible products to make their experience with Slack even better. We have over 150 apps at launch — if you use Slack check it out. If you can’t spare time to leave your latest Slack conversation, we have a solution for you! On top of the directory we’ve built a /apps command to help you find great apps. For example, type /apps project management into your Slack message box, press enter, and the app directory will send you some suggestions. 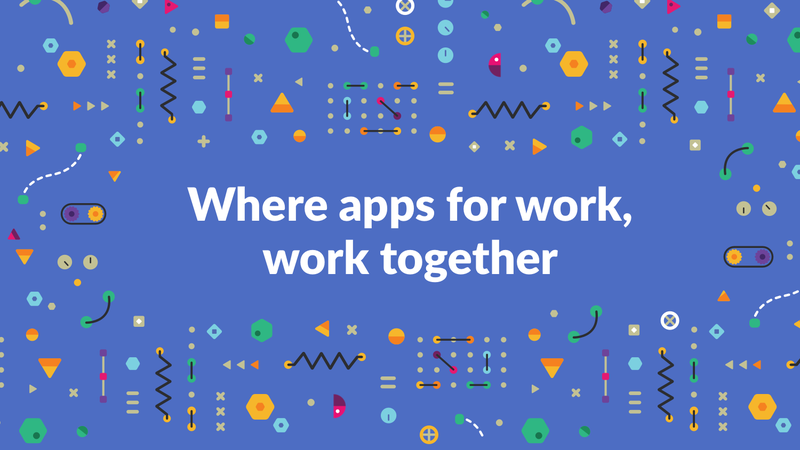 Have a Slack App that you’d like to make available through the app directory? Please fill out our our app submission form and we’ll get back to you. Now that it’s easy for your app to be discovered on Slack, we want to make it easier to get started building great things. We’re releasing some new tools to make it easier and faster to build on Slack. You’ve probably heard about bots if you’re interested in building on Slack — they present a whole new way for customers to interact with a wide variety of applications. Why? Bot users are a simple and effective way for your app to interact with users on Slack in a conversational way. Bots can prompt users to action, ask and answer questions, and they can be hilarious and fun. Create an app on api.slack.com and give your app a bot username. Put the “Add to Slack” button on your site and implement OAuth. When users complete the OAuth flow, you’ll receive a new bot_user_id and bot_access_token that you can use to connect to the Real Time Messaging API and start talking with your new bot. We’ve worked with Growbot, Nikabot, Meekan and Howdy to set up the Slack Button with their bots to deploy. You can click on any of their names (linked) to test the button out. Read more about how to attach a bot user to your app here. Big shout-out to the team at Howdy, who have released Botkit today. Botkit is an easy to use, open source framework that enables developers to build basic integrations as well as their own bots on the Slack platform. With Botkit you can focus on your business value/logic and let the Botkit worry about the plumbing — there’s no need to reinvent the wheel every time you want to start building a new app or bot for Slack. Botkit exposes conversational UI in an intuitive way — you can start a private or public conversation, say something, ask and wait for an answer, and more. Botkit also provides sample code for handling functionality like OAuth for Add to Slack buttons and samples of simple incoming webhook features. We love the team at Howdy, and want you to know that this is just one way to go ahead and build a bot. We hope that many more open source toolkits get built to create a beautiful Slack world full of bots and other good things. If you’ve got a toolkit you’re building, let us know; we’d love to talk about it! We’re partnering with AWS to make deploying a Slack integration a lot easier. Amazon Web Services (AWS) Lambda is a service that runs developers’ code in response to events and automatically manages the compute resources for them, making it easy to build and manage applications that respond quickly to new information. We’ve made a set of Lambda blueprints which you can use and extend to build Slack integrations. You login to Lambda, select the Slack Blueprints, and then extend this template to create your own integration in Node.js or Python. We’ve also added some documentation that will make it even easier to set this integration up. As a developer you might want to build something just for your team, or create an app and enable every team to install it with the “Add to Slack” button. So we have created more how-to documentation , both for developers who are interested in building a custom integration for their team, and for those building a Slack App that any team can install. 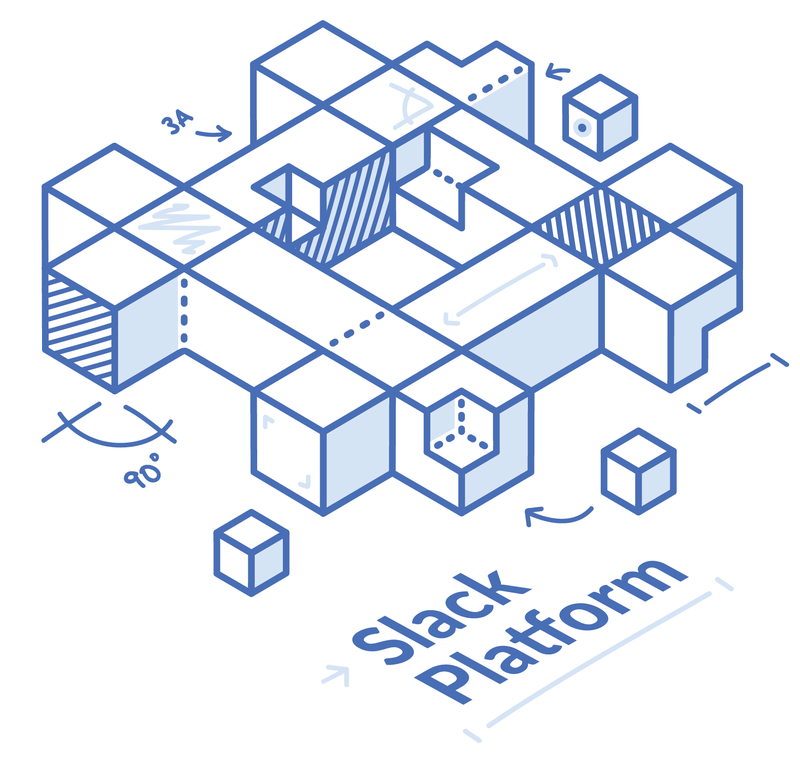 We want to give developers the backing they need to build everything possible in Slack. We’re launching an $80M fund in partnership with our investors, Accel, Andreessen Horowitz, Index Ventures, KPCB, Social Capital and Spark Capital. This is a big fund — it reflects our belief that there is a very large ecosystem opportunity here, and our investors agreed and joined us. We expect to be deploying capital regularly and are looking forward to working with many of you on this fund. To show our commitment to this fund, we’re announcing investments in three companies today: small wins, Awesome.ai and Howdy. If you are interested in funding please email slackfund@slack.com. We want to see hundreds of apps launch out of the fund and we can’t wait to work with you!